Shake the dust off at Morning After with breakfast carbonara and coffee brewed fresh from the all-day ‘morning’ menu (photo: Florian Grohn). West End is a neighbourhood on the cusp; part artsy enclave, part inner-city cool, things are on the up – in more ways than one. It’s a damp night in West End, and there’s music in the street. Although this isn’t unusual, thanks to the buskers who regularly decamp to the main strip, I get the feeling this is a suburb with rhythm deep in its heart. Lights bounce from the glistening bitumen and the decidedly beatnik crowds are dipping in and out of various bars and eateries laughing, smoking and swaying to beats both real and imagined. Watching all this, it would be easy to fall prey to the common Brisbane trope of describing West End as bohemian and quirky and leaving it there, but that would do this incredibly creative and nuanced neighbourhood a world of disservice. West End feels like a hood on the verge. Despite its defiant, artistic bohemia, there’s a distinct feeling that times, they are a-changin’. The hippie village vibe is making way for a more polished version of its eclectic lifestyle. Perhaps it’s the shimmering, shard-like towers inching closer and closer to West End’s low-set, suburban skyline. You can almost feel them leaning in – the claustrophobic reminder of expansion and growth. Indeed, this suburb is slated for a boom. There are estimates that, in the next 15 years, the population in West End (plus surrounding Highgate Hill and Dutton Park) will more than double. Sitting just three kilometres south-west of the CBD, it was always bound to happen as urban sprawl is replaced by high-density apartment life. Nevertheless, the vegan cafes, organic produce shops, heritage pubs and ramshackle old teahouses (like Three Monkeys) remain amongst the shiny new eateries opening their doors below new residential apartment buildings and in converted warehouses. Boundary Street is still the heart of this humming community but, spread over 1.9 square kilometres, it’s worth branching out. Next to Three Monkeys sits social enterprise restaurant, Mu’ooz. 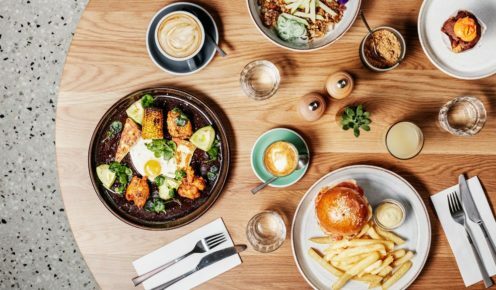 Aside from serving up exotic Eritrean eats, Mu’ooz assists refugee women gain employment and skills for their lives in Australia. The Burrow sits across Mollison Street in an old Queenslander, previously home to a Turkish restaurant. Hints at the Ottoman decor remain but now cool locals sit at large rough-hewn wooden tables to eat pizza and drink beer from the generous list of craft brews. Breakfast and lunch are also on the agenda. Down through the industrial workshops and warehouses in a carpark surrounded by offices, Getta Burger is the evolution of popular food truck That BBQ Joint, where the burgers are the American-style super-sized kind, and the milkshakes are loaded with pie (try the apple pie shake). After you’ve stuffed yourself, head down Montague Street to the corner of Raven Street, where you’ll find an excellent selection of wines by the glass (plus plenty to eat) at gastro-pub London Fields, and a dedicated cheese room (heaven) at local produce purveyor, The Stores. If the timing is right, double back towards the city, and farmers markets Davies Park on every Saturday from 6am to 2pm. Producers, makers, artisans, young designers and food sellers line their stalls up under the sprawling figs to sell to both West End locals and visitors. On Vulture Street (the inspiration for Powderfinger’s fifth studio album of the same name), revellers from the night before, spent at hole-in-wall bars The End and tiki-fied Jungle, shake the dust off at Morning After with breakfast carbonara and coffee brewed fresh from the all-day ‘morning’ menu. 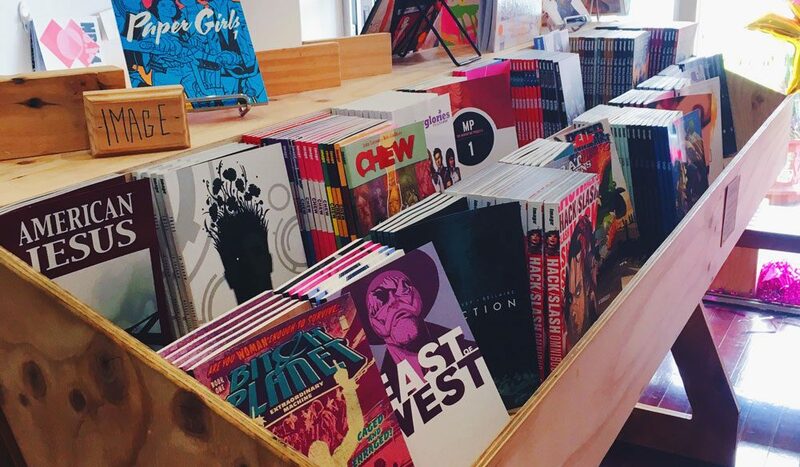 Brain fuzz gone, Junky Comics is just a stone’s throw from here, so we thumb through the collection of independent zines and graphic novels plus hard-to-find comics stacked in handmade shelves. Pieces by local artists hang on the walls, alongside flyers for upcoming exhibitions. Next to Jungle, the 34-year-old Jet Black Cat Music sells vinyl and holds regular events in its tiny corner shop. If you are in the market for some new hipster threads, then pop into Happy Cabin, where canvas backpacks sit alongside brands like Staple the Label, The Fifth, Status Anxiety and Saltwater Sandals. 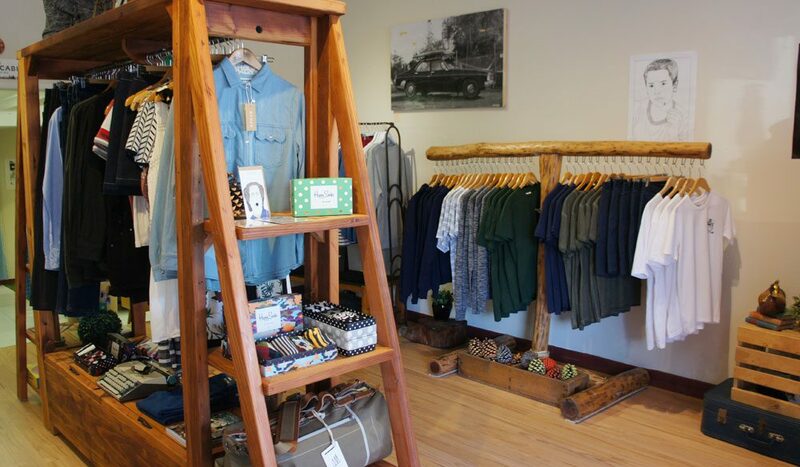 There’s more shopping to be done on Browning Street, where you’ll find Nook and its Australian-made clothing, gifts and homewares crammed into two small rooms. 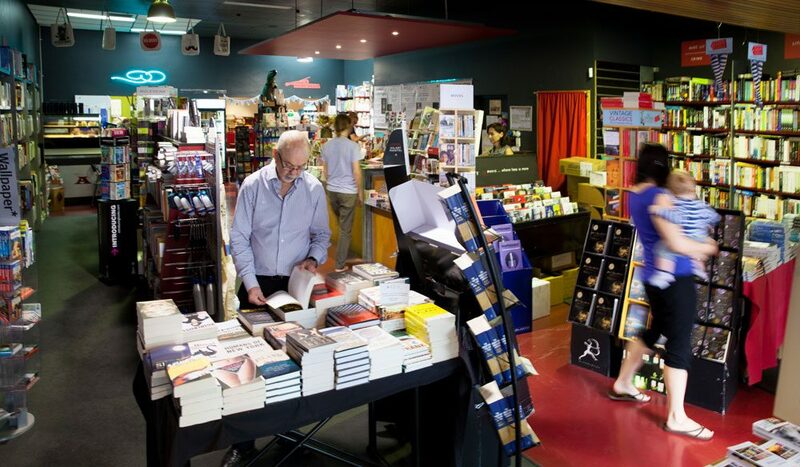 Round the corner onto Boundary Street (West End’s bustling main strip), duck into bookshop and cafe, Avid Reader to stock up on latest releases or kill a couple of hours with a coffee and good book. If it’s beer o’clock, you’re in the right place. 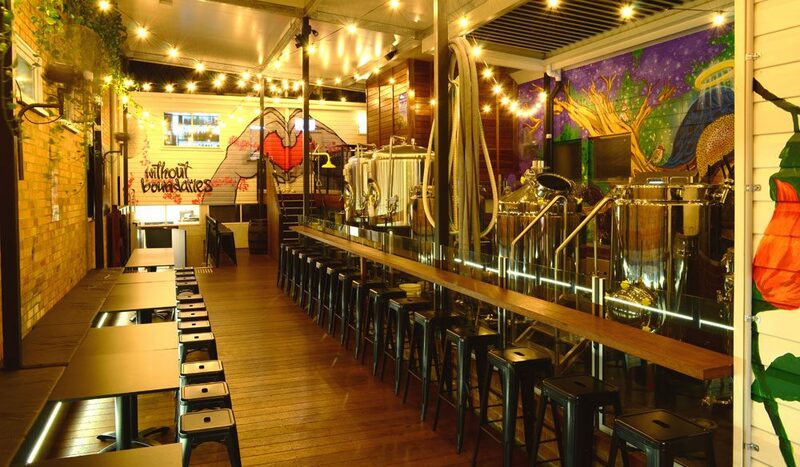 Microbreweries Catchment Brewing Co. and Brisbane Brewing Co. are just across Boundary Street, or locals’ favourite Lock’n’Load pulls a worthy pint to serve along with their bistro fare and jazzy tunes. There’s more craft beer at Archive across from the Boundary Hotel (the oldest building in West End, built in 1863); here, you can peruse their mammoth beer list from the comfort of a vintage recliner. 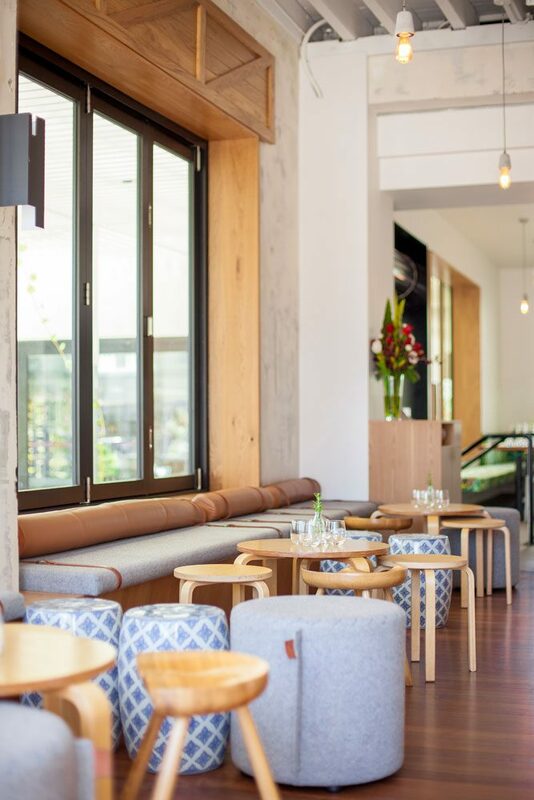 Back near Vulture Street, make for punchy pan-Asian spot Chop Chop Changs, or eat the ‘Classic’ burger at The Bleachers. When the boom comes, West End’s new residents are certainly going to like what they find.